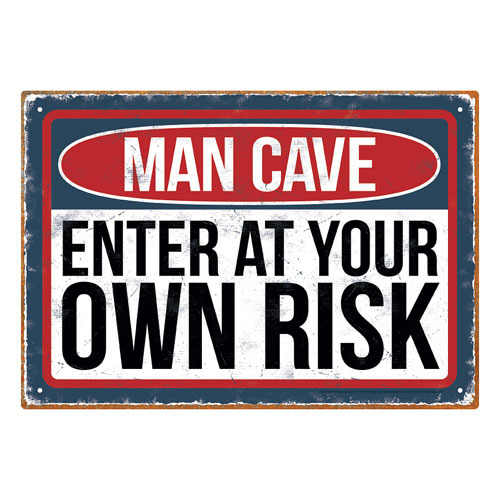 "Man Cave: Enter at your own risk." Can't say you didn't warn them. This Man Cave Risk Tin Sign measures approximately 8-inches x 11 1/2-inches. Ages 14 and up.